Cast a spell on your house this Halloween. 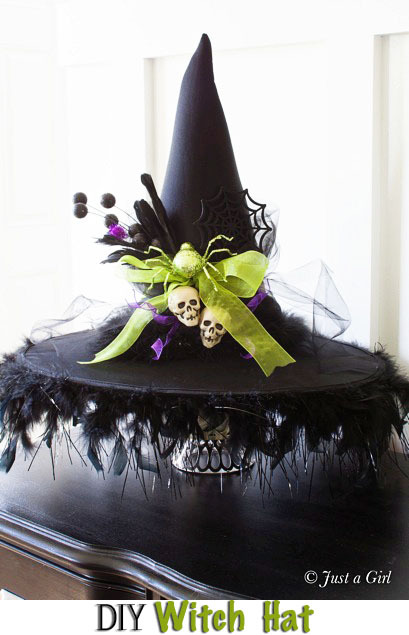 With a little style and whimsy, turn an ordinary Witch Hat into a wicked centerpiece! 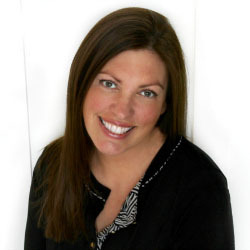 Hello, TidyMom readers! I’m Chris from Just a Girl, and I’m thrilled to be here today! My blog is pretty much DIY and decorating, so you can imagine that the holidays are in full swing at my place! 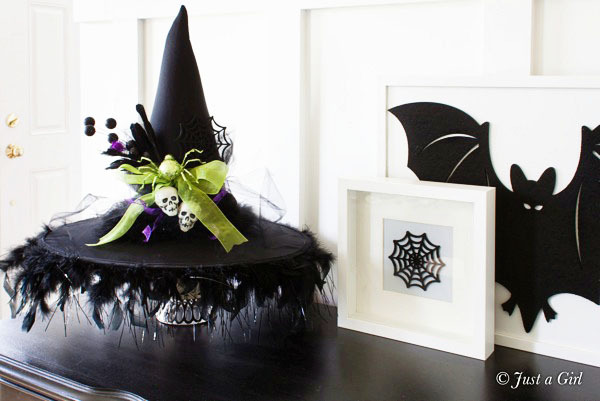 Halloween is one of my favorite holidays to decorate for, so I’m sharing a frugal and easy way to make a ca-ute little witch’s hat! I’m a high school teacher, and I found this witch’s hat in my co-workers cabinet in her classroom. If you’re anything like me, you’re thinking, “And why a witch’s hat (with tags still on, mind you)?” I know her well enough that I didn’t bother asking. I held it up, squealed, “Can I have this? !” and ran away with it. Price? Free. 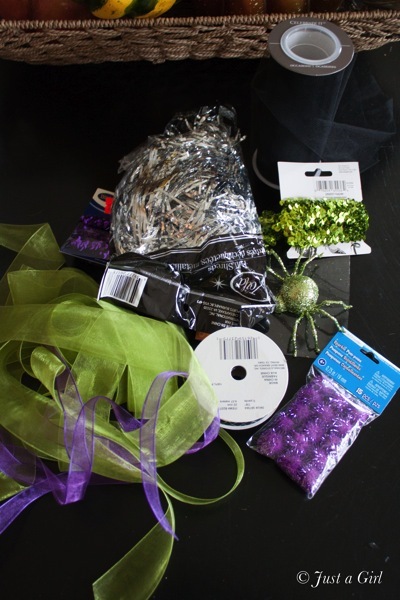 Most of these supplies I already had, but I purchased some glittered spiders at Michaels for a couple of dollars. I dumped all my Halloweeny supplies on the table and just started wrapping ribbon, hot gluing items, and tweaking where needed. There’s certainly no strategy to it, but that’s what made it fun to make. Most items I have picked up here and there from Michaels, but some of my favorite holiday craft supplies are from the dollar store! Amazing what you can find there! Want some more Halloween inspiration Just a Girl style? Here’s some other projects I’ve done. Clearly, I like the black and white. Check out the Halloween wreath, witch mantel, Halloween clock, Cheap Halloween Decorations and Halloween mantel. Thanks so much to Cheryl for having me over today! Just a Girl Blog Decorating and DIY’ing my way through life. 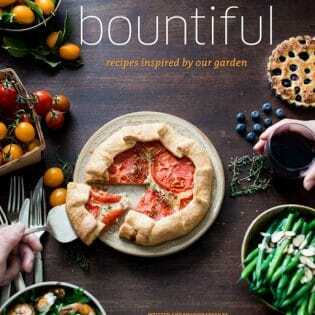 Follow along with the successes and stumbles! I love it so much!!! My house is in full “Witch theme” for halloween this year! 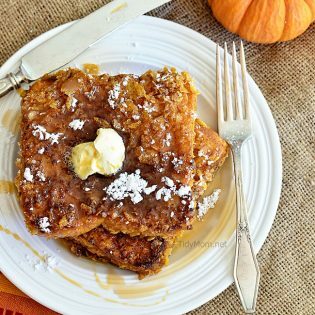 I’ll have to make this! Nothing beats free! Thanks for sharing Chris! Love the decorated hat! Such a great creative Halloween decoration. We love Halloween over here. We skip Fall decor and go straight to Halloween. 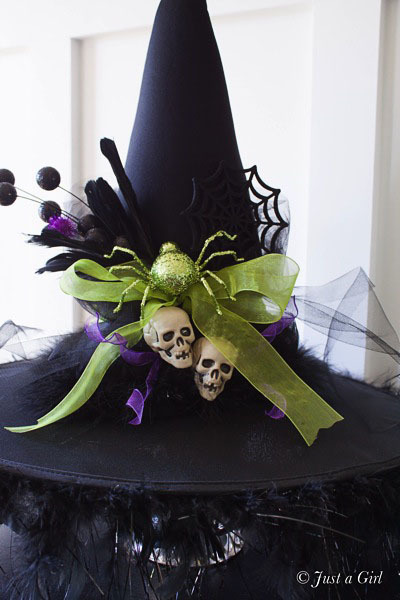 We do Fall after Halloween, so this witches hat is a must create with my kids. It is super cute! So cute Chris 🙂 My son would like helping me make this! So very cute!!! All of a sudden, I’m loving skulls!! LOVE that hat! And that color of green is to DIE for! Super fun idea Chris – would be so fun to greet the little trick or treaters with this on my head! Pingback: Or so she says…:Homemade Halloween Decorations - Quick & Easy! Do you think it would be “wearable art”? 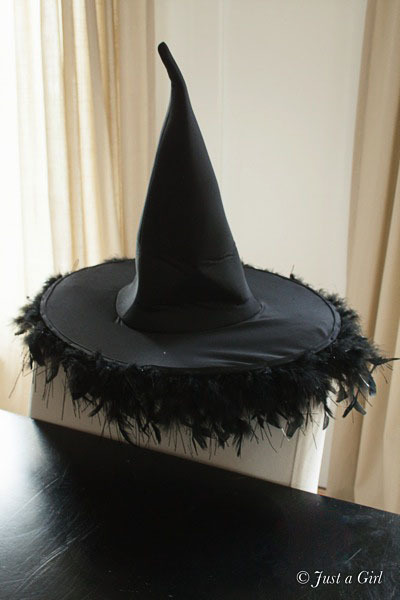 I was invited to a Witch’s Tea this October and would like to decorate my own hat to wear. I love the lime green on this.